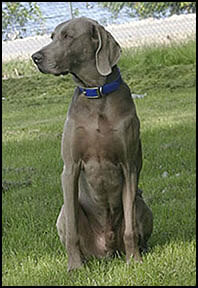 Basic Obedience is designed for dogs and older puppies. This course entails seven one–hour classes and will help you communicate effectively with your dog as you learn the basic exercises of: heel, sit, stand, down, stay and come when called. 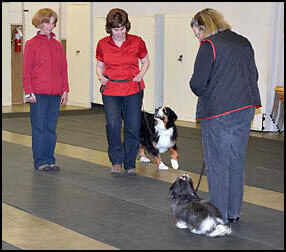 Our motivational approach helps unruly dogs learn self–discipline and shy dogs gain confidence. Can you teach an old dog new tricks? Absolutely! Our methods have proven highly successful with dogs of all ages. There is no age limit on developing a better relationship with your dog. Dogs live in the moment and their behavior can always be improved through a positive training approach. Contact our Public Class Registrar by e-mail at public.classes@ldta.ca or by telephone (Monday to Friday 9:00 am to 5:00 pm) at 514-991-3349. Graduates of Level I will continue to develop their human/canine relationship. The advanced training in seven one–hour courses expands on the basic exercises learned in Level I. The dog's responses become more reliable and there is a focus on adding additional control through learning off–leash heeling, stays and recalls. Distractions are incorporated into the training exercises. Mastering these exercises will make your dog the star at the dog park, the dog that you can bring with you everywhere. Our hope is that graduates of the Level II course become enthusiastic trainers who love the relationship they are building with their canine companion. Graduates are eligible to become members of the Club and continue their training, whether for fun or competition.